I guess it’s fair to say that we’ve hit the “rocky stage.” It’s the craggy valley where your kids try your patience, serve up dozens of complaints, defy you at every turn, accuse you of the most outlandish things (like purposefully ruining their lives!) and all before Cheerios. I believe the marketing industry categorizes this phase of adolescence as “tween,” but that sounds a little too benign for this particular stage of development. And while I’m not sure how we got here, (as far as I can tell) there are no posted signs for the nearest exit. The most baffling part (at least for me) is that just when I think things can’t get any crazier and I start wondering who these children REALLY belong to, I find myself the recipient of a hug and a warm smile. So what’s up? It’s the same old story. Only it seems all the more confusing since I’m the Mom actually living through it. I feel like the victim of some kind of psychological warfare, thus making it hard to balance what I know is age appropriate behavior with these outrageous episodes. I know enough to realize that I wasn’t the perfect child. 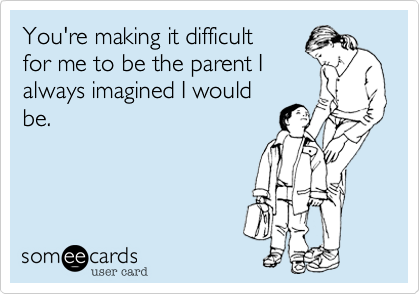 Yet, I still seem to think that on so many levels I had to be a little easier than my two kiddos. “Can I have this? Can you get me that? If I do this, then will you…” (fill in the blank with some outlandish request), followed by, “Do I have to?” and “You CAN’T make me!” It’s like we stepped back in time and I’m the mother of toddlers again. Suddenly, the automatic kid response to everything is “No” accompanied with eye rolling (that’s new) and foot stomping. I shudder to think of what might happen if the two actually got along long enough to conspire against my husband and I. My sweet, darling daughter often takes her cues from her older brother which only seems to compound the problem. And whoever said that boys were easier than girls doesn’t know squat about my household. So what’s a Mom to do? Basically, I pray a lot. I try to understand where they’re coming from and channel my own tween years. I take a deep breath and sometimes I actually have to ESCAPE to my happy place. I remind myself that parenting is not easy. In fact, it’s pretty much a thankless job. And I think that’s the part that bothers me the most. That’s the part that hurts so much. The lack of gratitude. These children have EVERYTHING. I’m not just talking about material things, these children absolutely have the whole, wide world laid out before them! My brain knows that their lack of gratitude isn’t something I should take personally, but still my heartstrings can’t help but feel heavy and pulled and sometimes even FRAYED at the end of the day. It’s tiresome, worrying and basically not much fun. On bad days…well, it’s bad. Good days (as in 24 continuous hours of bliss) are hard to come by. That’s why I’m trying to hang on (and find hope in) the little things. I’ve secretly started calling these rare occurrences “Mom-tastic Moments.” They’re the small victories that I tuck into my heart and hold on to for dear life. They stack up like this…. MAKE YOUR EXPECTATIONS KNOWN. Not all things go as planned, but I’m slowly finding that if I speak up about what I expect from my kiddos then at least we’re all on the same page (if only for a brief second.) No–this doesn’t mean everything will go perfectly, but it’s better than having that horrible conversation after everything has gone wrong only to hear your child say to you, “Well, why didn’t you tell me that’s what you wanted in the beginning” or “I didn’t know that’s how it was supposed to go down.” Although they sometimes act like three-year olds, I find that things go a lot smoother when I approach them with clear “big kid” expectations. DON’T TAKE EVERYTHING PERSONALLY. This is probably the hardest one. I really try to live by the golden rule. I’m not sure this is a priority for my kids…and I have to remind myself to cut them some slack. Science reminds us of all the growth and development that takes place in a child’s mind. Researchers have proven that a “mature,” functioning brain (complete with a rationale for risk taking) doesn’t exist until one’s early 20s. Obviously, they’re not going to be perfect. I often remind myself (and them) that we all have feelings, words and actions both speak volumes, and that we’re a family that LOVES each other. Some days are better than others. IT’S OKAY TO BE A LOSER. This one is going to need some clarification. Remember how I mentioned short-term loss, long-term gain? That’s parenting in a nut shell. We lose a lot in this exchange: sleep, control, time, energy, money, arguments…and the list could go on and on. The gains don’t typically take place in the parenting trenches. Often times they come much (much) later. It’s a miracle to me that any of us signed up to do this! But then I think about the gains: smiles, hugs, love, and eventually…appreciation, respect, and wisdom 🙂 This is big picture stuff, and the big stuff never is (and maybe shouldn’t be) easy. CALL YOUR MOM (a lot.) She has a way of putting things into focus. My mom reminds me that I’m not the first mother to go through this and that it’s all NORMAL. I need to hear it and you probably do, too! Mothers who have graduated into “grandmotherhood” have an insight and a perspective that just cannot be matched. Besides, acknowledging your mother’s hard-earned wisdom is a heartwarming way of showing your mother how much you love and appreciate her…even if it took you decades to get there! No one person has had more influence on my life than my mom…and she deserves to know that! I am far from the perfect parent. There are still days when I’m as far away from the win column as any one person can get. I lose my cool more often that I like. But, like most of us, I’m in it for the long haul–these kids have my whole heart 🙂 For some crazy reason, (as irrational as it sounds) I wouldn’t trade it for the world. 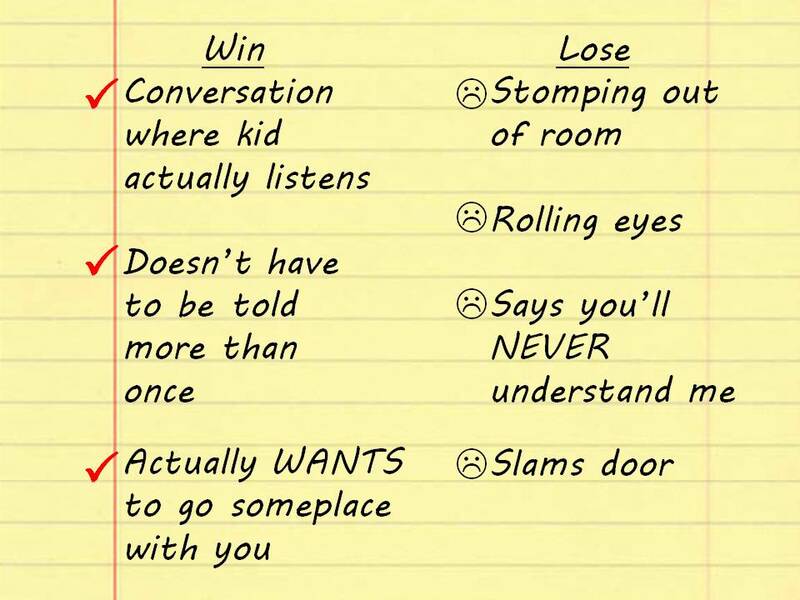 And when my children are 40…well, maybe (just maybe) I’ll get that win column tally mark I’ve been waiting for…. Hope you get yours, too! As a Sunday school teacher I often find that I learn as much (and often times even more) than the young people in my class. This week was a perfect example of that as we took out our “God goggles” and looked at “naming” and more specifically the difference between good and bad naming. Who knew that so much could be wrapped up in a name? And as I studied the lesson a couple of things stood out to me. First of all, the idea that naming is Biblical. It was the first job that God gave to man. You might recall the story in Genesis where Adam was called to name all of the creatures. The second thing that kept coming up was just how powerful a name can be…which led me to this post. When my husband and I found out that we were expecting we tossed around several name ideas. It was fun, light-hearted and a learning experience as we discovered that we had very different ideas about what makes up a good name. Soon after finding out that we would be having a boy, we began to narrow our focus. I wanted Matthew or Thomas…family names. Steve wanted to name our son Jacob or Calvin. Family members and friends weighed in with their ideas. Before long we had a long list of possibilities–none of which we were really crazy about or could agree on. Then someone threw out the idea that we should have a backup name for a little girl…just in case the doctors were wrong. Yikes! Like a lot of couples, we finally got serious and bought a baby name book–and the real trouble began! If you’re ever looking for a good chuckle, look up your name in a baby book. Better yet, look up the names of family and friends. Very entertaining. The baby book we chose (from Motherhood Maternity) was particularly golden as it had a subsection under every name that detailed celebrities who share the same name as well as a sentence or two that describes how the general population feels about the name. Priceless. For example, my name–Anna–means graceful, however, the general perception of the name Anna brings about images of a hardy, pioneer woman. Let me just say that I am anything but a hardy, pioneer woman. I would have DIED on the prairie! If I couldn’t pick up my food at a grocery store or through a drive-thru window, I wouldn’t eat. Nevermind the fact that I can’t stand to be cold (or hot). I need climate control, too! My daughter’s name came about a little differently. Armed with knowledge (veteran parents now) we set out to choose a name for our little girl. Many of the girl names we liked just three years before didn’t makes sense for this new bundle of joy. I started at the beginning of the baby name book and went about choosing a name methodically. This became a bedtime ritual for me. When Steve would finally settle in for the night I would toss out a few names. He was great at pointing out potential problems with little girl names, things that I had never thought about. The list of acceptable names was short. I found myself drawn to one name in particular and offered it up for opinions. Bad move. Let me say that again…baaaaad mooooove! Turns out people have very strong opinions about little girls’ names. Our mothers were not impressed with this name option. Oh, they were polite about it…but “umms” and “wells” can surprisingly speak volumes. I was at a loss until I started the name game fresh again…back to the beginning of the book. I came upon the name Casey. It was a sweet Irish name that meant “brave.” I liked it and before I knew it, I LOVED it. This was the baby’s name. This time when we announced our name choice there really was nothing anyone could have said that would have changed our minds. I think that’s how you know when you’ve come across the right name. You just have that gut feeling and won’t be swayed any other way (which is good, because this one wasn’t an immediately accepted name choice either.) I especially loved the short little sentence at the end of this entry. Casey is an outgoing, friendly brunette. You just can’t go wrong with an endorsement like that! 1. Naming requires time and consideration. Many times we overlook the significance of a name and forget to weigh our decisions. A cute name today can easily become outdated. An old-fashioned name may require a lot of explaining for years to come. An unusual spelling is unique, but can be problematic down the road. 2. Family names can be tricky. I have mixed feelings about family names. I don’t mind the idea of Junior, the Third, the Fourth, etc., but when you have a family name chances are someone is going to nickname your child. Don’t consider it rude, it’s just that differentiating one person from another is often a necessity for a family. Be prepared to offer your own nickname. It can save you a lot of trouble. 3. Step into the role of a class clown or bully. This tip probably seems odd, but it has a serious place on the list. For example, I really like the name Ashley. But it was quickly pointed out to me that this name is gold as far as teasing is concerned. Also, if you child has trouble pronouncing the name Ashley, there’s another opportunity for poking fun. Kids have enough going on these days…don’t add to it by giving them a name that someone else can easily exploit. 4. Tread lightly where initials are concerned. I used to think initials were cute and don’t get me wrong, they work for some people. But overall, I wonder whether using initials is a disservice to the child. Look at it this way…when you go by your initials it’s somewhat of a shock to people when you use your real name. And you’re going to have to use your real name at some point. I remember someone who went by his initials. Honestly, it was years before I knew what his name actually was. 5. Keep the name to yourself…at least for a while. Let it grow on you. Walk it around a little bit. Consider it from all angles. How does it sound for someone at age 5, 10, 15, 50? Does it still sound good to you? When you finally decide to share your baby name–be prepared. You will get feedback! It’s not like you have to defend your baby name, but if you’re dead set on it you should be ready to back up your name choice. Ultimately the decision is yours, but I remember in the name announcing process not really being prepared for some of the comments I received. 6. Think of your child. It’s their name, not yours. Sure you like it, but think about pronouncing it, spelling it, hearing it chanted at a football game, read aloud at an awards assembly, with the words Mister or Madam President in front of it. Look at the name’s meaning and significance. You shouldn’t base your name on some celebrity, but it doesn’t hurt to be knowledgable about whether or not the name will bring to mind a famous person. And lastly, pray that you will give your child a good name…and when you do, use their name well. How quickly a name can go from good to bad based on tone and inflection. Build your child up by using their name with love and never in a negative way. 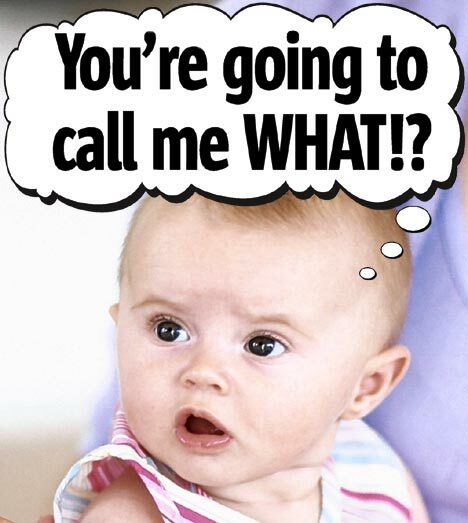 Have you ever seen a child cringe when their name is called out? Make it a practice to use their name with respect, after all you’re naming a child of God. 😉 What I Now Know (W.I.N.K.) about concussions. Until about a year ago, I never really worried about my kids getting injured in sports. Both my children have played ball since the could walk–soccer, flag football, basketball and baseball. There were plenty of bruises and scrapes, but for the most part nothing serious. I know that injuries are part of the deal (that’s why I made my son play flag football and not tackle.) If injuries weren’t reality then we wouldn’t have to sign a zillion papers promising not to sue the YMCA or rec league. That being said, I still naively thought that broken arms and sprained ankles happened to other people’s kids…and there I go, clicking my heels. 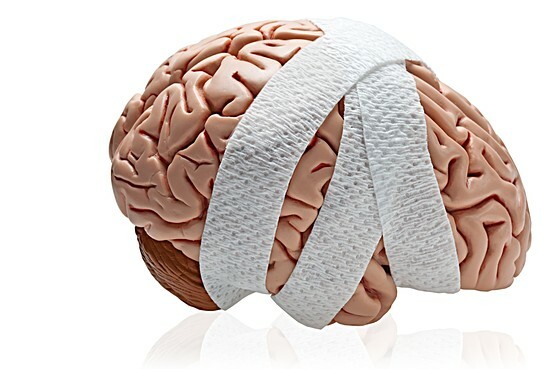 Today, I’m a little neurotic when it comes to sports injuries. My hypersensitivity comes from my own son’s concussion last January. My ten-year old went up to intercept a long pass at midcourt, lost his footing and landed on the back of his head. 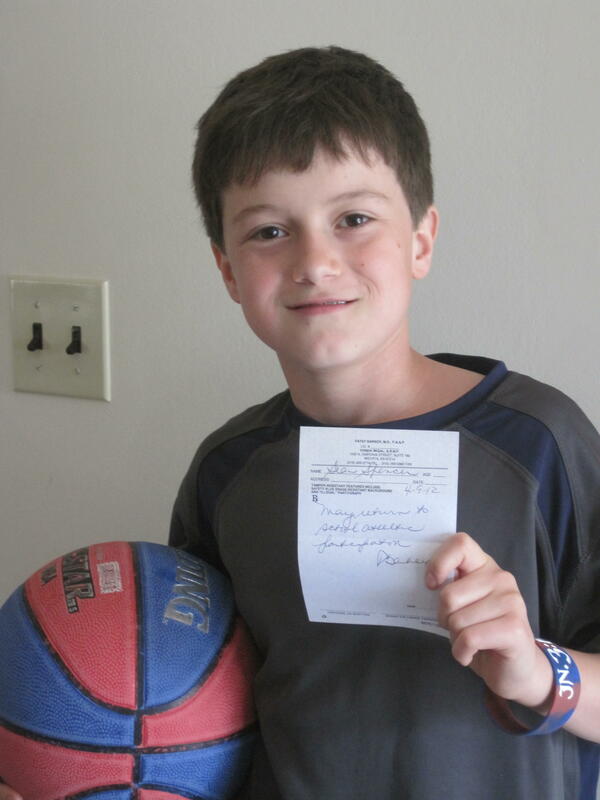 (He would want me to mention that he DID catch the basketball!) I will never forget how the whole gym went silent as a group of coaches and my husband ran onto the court. My son managed to walk off on his own and sat dazed and confused on the bench as a family friend and teacher went to get ice. At the time none of us could have imagined the scary door this injury would open up for him and our family. He had a headache and he was grumpy (who wouldn’t be? It was Saturday night and he had plans to go to a hockey game with a friend.) What we didn’t realize was that this headache would last four months. We didn’t go to the emergency room…a rookie mistake. We did however consult a friend (a paramedic ) who recommended that we see our family doctor first thing on Monday. The doctor’s examination was thorough and included a trip to the local hospital for x-rays, etc. It’s amazing the things you learn about your own kids in a doctor’s office setting, you know–things they tell the doctor and not their parents. Like the fact that when he first hit the floor everything went black for a second. And that he couldn’t hear out of one ear for most of the weekend. And finally that his jaw hurt on one side when he chewed (turns out he was chewing on the other side so we wouldn’t know.) The doctor filled us in on all the results and told us that the scans had all come back clear. We were relieved. Now we just had to limit our son’s screen time (TV and computer), make sure he got plenty of rest, and WAIT. Oh yeah, he couldn’t play any sports until he was headache free for 5 days straight. It took four solid months for the headaches to go away. My son couldn’t participate in gym, recess or any other physical activity. This is especially deflating to a competitive ten-year old boy who eats, drinks and breathes sports. About three months in, our doctor recommended we scale back all stimuli and pull him out of school at lunch time. This is where we really started to see improvement. Less means more when it comes to healing a concussion! The Monday after Easter, almost four months to the day of his injury, my son was released for regular activity. It’s a day I will never forget. Sean with a note from the doctor clearing him for all activities following a concussion. It was a long four months. 1. Concussions are emergencies. Have someone look at the injury right away. 2. Reduce all stimuli for the first week, no exceptions. This means…no TV, cell phones, computers or electronic devices of any kind. No reading or school. No physical activity. I truly believe that if we had cut out all stimuli during the first week of his injury he would have recovered much faster. Children will kick and scream, but we must be the parents in this situation. 3. Remind your children that they must be honest in medical situations and tell you every symptom they’re experiencing. If I had known that my son blacked out (even momentarily) or that he couldn’t hear out of one ear, we would have certainly responded more urgently and taken him to an ER right away. 4. Don’t be afraid to make the tough decisions and stand firm. My son wanted to play basketball again. We allowed him to go to the games and support his team, but he was DONE for the season. I will tell you honestly that there was a lot of talk among friends, family and schoolmates about how we were being overprotective parents, questions of my son’s “toughness,” and many who second-guessed the seriousness of concussions in kids. 5. Find a doctor who understands concussions in children. We were fortunate. I cannot tell you how much we value our kid’s doctor! 6. Pray and ask for prayers. As a family of faith, we believe that a mighty God was with our son and our family during this time. The power of prayer cannot be underestimated. The strength and support offered by our church family was vital. I could go on and on…. Today, my son is playing basketball again. Don’t get me wrong–we all held our breath during that first basketball game back and especially during the game that took place in the same gym where he landed on his head. I am a more fretful mom today and I make no apologies for it. I cringe and pay extra special attention when I hear about similar injuries. And I make it a point to tell other parents and family members What I Now Know about concussions. 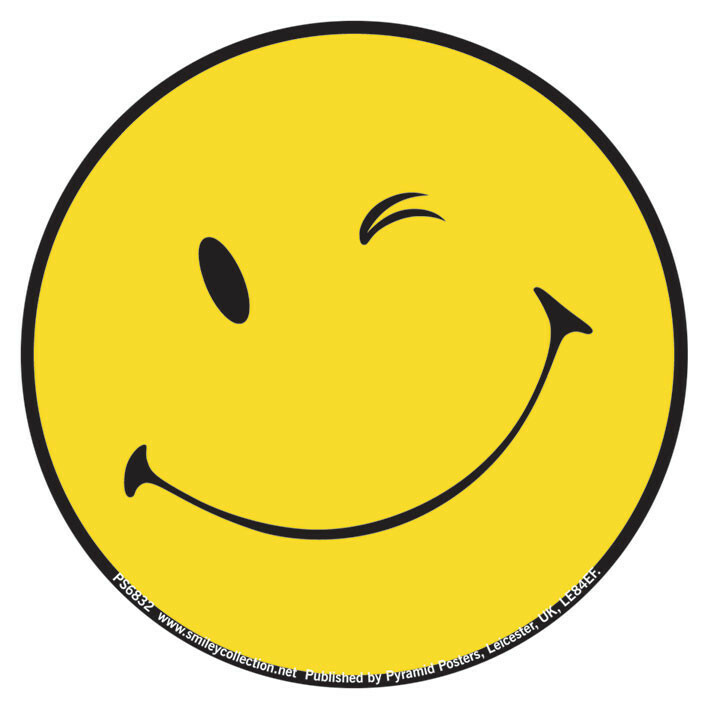 Kidding aside, what I love most about the wink is the feeling it denotes. It sort of says “look I’m in the know” or it gives the impression that you’re sharing something special with another person. A wink can say “hey, I’ve been there” or even make you feel like you’re the only one that matters in a room full of people. A wink is personal, even intimate. I like that.